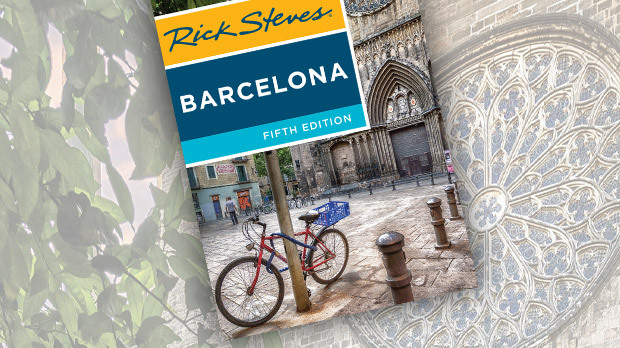 Life in Barcelona is a distinctive mix of Madrid-style love of life and Parisian elegance and taste. Spain's second-biggest city is one of the hottest tourist destinations in Europe these days, with more than 7.5 million visitors a year, so its popular pedestrian boulevards can become human traffic jams. In spite of what can be horrible crowds, there's plenty to enjoy. Everywhere you go, you'll find the city's architecture to be colorful, playful, and unique. Rows of symmetrical ironwork balconies are punctuated with fanciful details: bay windows, turrets, painted tiles, hanging lanterns, flower boxes, and carved reliefs. At various points in its history, this proud city has been a Roman retirement colony, a maritime power, a dynamo of the Industrial Age, and an urban poster child for modernism. 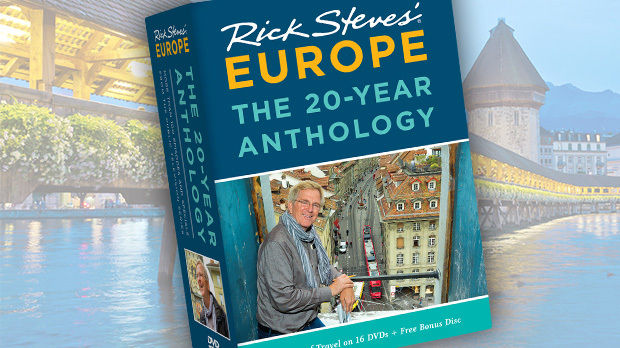 Today it cobbles together all these elements into a one-of-a-kind culture. Barcelona is the capital of Spain's Catalunya region. The locals pride themselves on their different language and talk constantly and fervently about independence. And with each visit, I hear more Catalan and less Spanish. Talking to my friends in Barcelona about the practicality of having their children learn Catalan — leaving them with a native tongue that less than 10 million people speak in an aggressive and global world — none of them questioned the notion. Of course they speak Catalan…they are Catalans. And they speak Spanish and English as well — they're well-educated Europeans. The iconic main square, Plaça de Catalunya, sits at Barcelona's center, dividing the older and newer parts of town. Below the square is the Old City, with the boulevard called the Ramblas running down to the harbor. This Catalan Champs-Elysées has long been a quintessential Barcelona experience. But with modern affluence and the rise of tourism, the charm of the Ramblas is all but dead. The old men reading their newspapers, the bird and flower markets, and the local shops are now replaced by tacky low-end tourist shops. Barcelona's most historic neighborhood is the Barri Gòtic, with a 14th-century cathedral as its navel. Today, the area is a tangled-yet-inviting grab bag of grand squares, schoolyards, Art Nouveau storefronts, musty junk shops, classy antique shops, and street musicians strumming Catalan folk songs. While the recent lifting of rent control has caused many of the old-time shops to fold, thankfully the character of this quarter survives. For an edgier slice of the city, step just beyond the Barri Gòtic into the neighborhood called El Born (a.k.a. "La Ribera"). This bohemian-chic district features funky shops, upscale cafés and wine bars serving artfully crafted tapas, a colorful market hall, unique boutiques, and one of Barcelona's top museums, the Museu Picasso. 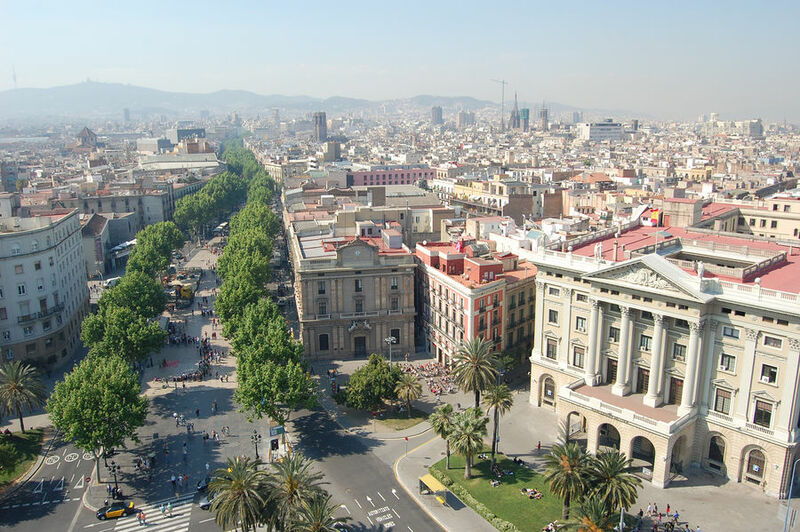 Above the Old City, beyond the bustling Plaça de Catalunya hub, is the elegant Eixample district. Much of Barcelona's Modernista architecture is found here — especially three colorful facades built at the end of the 19th century that compete for attention: Casa Batlló, Casa Amatller, and Casa Lleó. Because the mansions look as though they are trying to outdo each other in creative twists, locals have dubbed them the "Block of Discord." The Eixample is also home to famed Catalan architect Antoni Gaudí's La Pedrera (a.k.a. Casa Milà), with its much-photographed roller coaster of melting-ice-cream eaves. 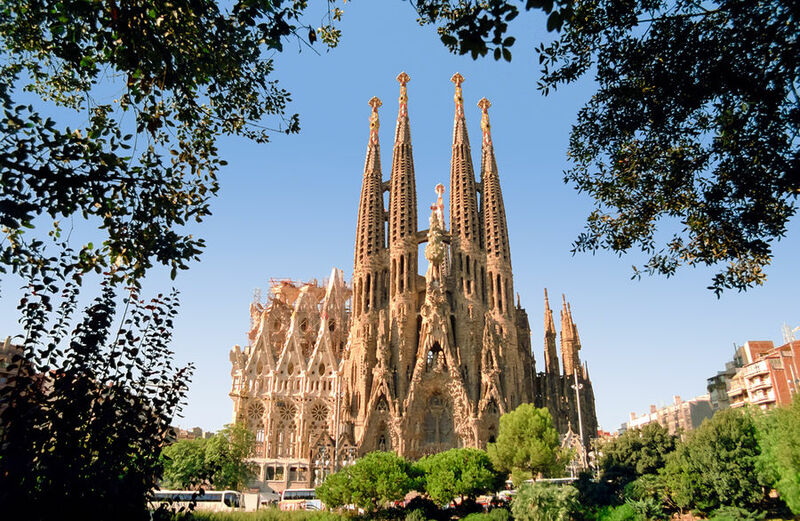 This is Barcelona's quintessential Modernista building and Gaudí's last major work before he dedicated his final years to the Sagrada Família. Sagrada Família (Holy Family Church) is Gaudí's unfinished masterpiece. It boasts bold, organic architecture and decor inside and out — from its melting Glory Facade to its skull-like Passion Facade to its rainforest-esque interior. Gaudí labored on the Sagrada Família for 43 years, from 1883 until his death in 1926. Since then, construction has moved forward in fits and starts. In 2010, the main nave was finished enough to host a consecration Mass by the pope. As I stepped inside on my last visit, the brilliance of Gaudí's vision made for lofty worship in the nearly completed nave. Today's main challenges for this epic work-in-progress: construct the tallest church spire ever built, ensure that construction can withstand the vibrations from speedy trains rumbling underfoot, and find a way to buy out condo-owners to fulfill Gaudí's vision of a grand esplanade approaching the church. The goal to finish the church by the 100th anniversary of Gaudí's death, in 2026, may seem overly optimistic. But, with money from millions of visitors pouring in each year (the admission is pricey — but you know it's for an exciting cause), it appears more obtainable as time goes by. I've long said, "If there's one building I'd still like to see in Europe, it's Gaudí's Sagrada Família church in Barcelona…finished." With attitude in its art, culture, and politics, Barcelona — in spite of its tourist crowds — is a place where you're likely to wave the local flag and declare, along with its residents, "Visca Catalunya!"